Chinese shares tumbled more than three percent in the morning session on Tuesday amid weak economic data, suggesting the world\'s second largest economy faces mounting downward pressure. Chinese shares tumbled more than three percent in the morning session on Tuesday amid weak economic data, suggesting the world's second largest economy faces mounting downward pressure. 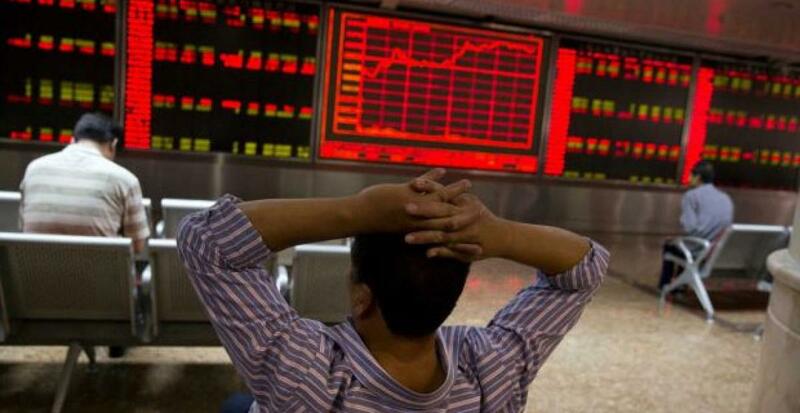 As of 11 a.m. (local time) more than 2,000 shares across the two bourses sank, Xinhua reported. The stocks in textile machinery, automobile manufacturing and the steel industry reported the morning's biggest losses. China's manufacturing purchasing managers' index (PMI) came in at 49.7 in August, down from 50 for July, according to data released on Tuesday morning by the National Bureau of Statistics and the China Federation of Logistics and Purchasing. The August reading was the lowest since August 2012. Global markets did not fare much better. Tokyo shares fell 1.57 percent in early trade on Tuesday as the Nikkei index slipped 296.71 points to 18,593.77 shortly after the opening bell. Overnight, the Dow Jones Industrial Average dipped 114.98 points, or 0.69 percent, to 16,528.03. The S&P 500 lost 16.69 points, or 0.84 percent, to 1,972.18. The NASDAQ Composite Index shed 51.82 points, or 1.07 percent, to 4,776.51. On Monday evening, the central government issued a notice encouraging mergers, cash bonuses and share re-purchases by listed companies to expedite reform of state-owned enterprises and stabilise the stock market.